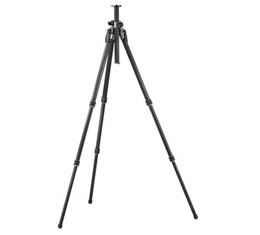 The Explorer is another of our tripods for special applications; a versatile support that opens up new shooting perspectives. Thanks to its unconventional design, the legs can be set at any angle and moved independently while the center column tilts and rotates freely to any position. The Explorer unleashes its potential when used with a Gitzo off-center ball head, a combination that makes it the ideal tripod for creative photographers, looking for unconventional shots: close to ground, upside down or in tight or awkward spaces. Ideal applications are outdoor macro and nature photography, still life and architectural.